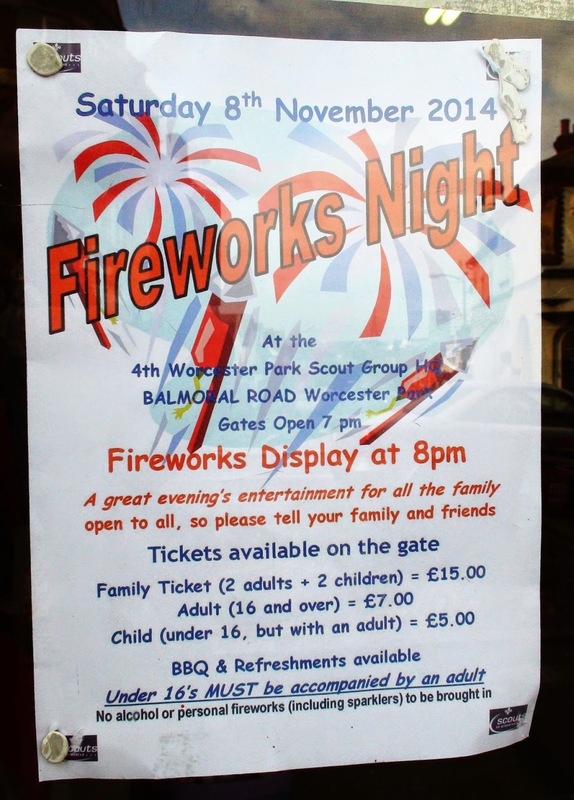 Being that Guy Fawkes night has been to visit us recently, there are a multitude of fireworks events on offer around the place. There was one up at Green Lane School last night and two are on offer this very evening - both put on by the local Scouts. One of these is at the 4th Worcester Park Scout headquarters in Balmoral Road. 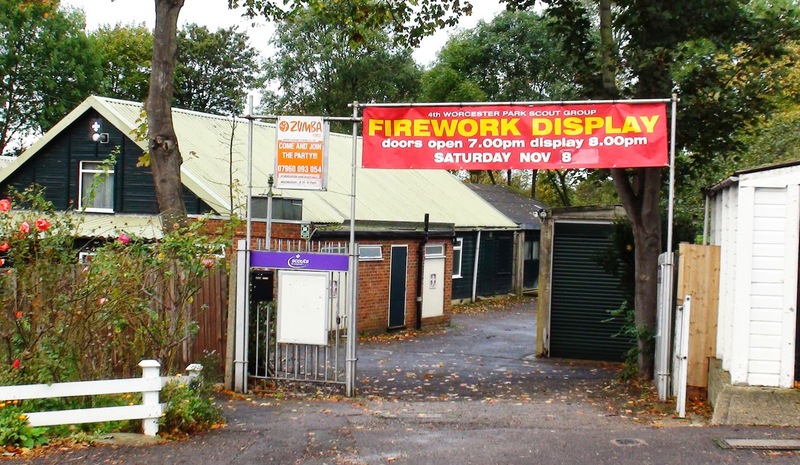 The other is at the Hook Road Arena and is being hosted by the 7th Epsom (Methodist) Scout group (details here).